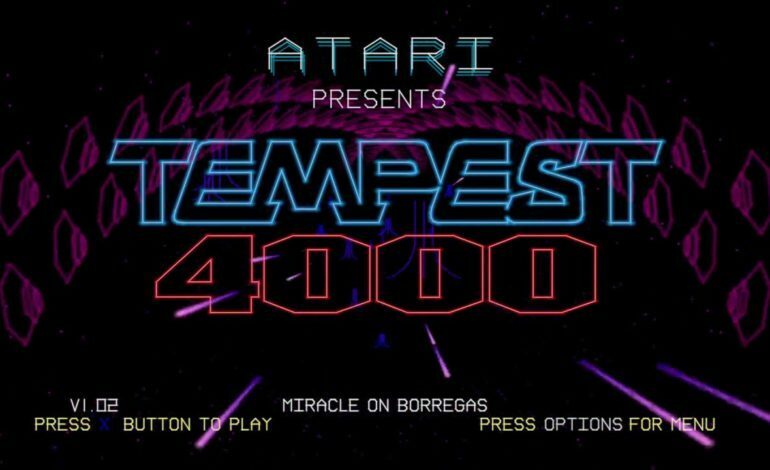 Tempest 4000 is the next game in the Tempest series from Atari. It is a simple polygon shooter that has an awesome soundtrack, and I got to demo the latest entry into the series. Before beginning the demo, it was revealed that there were some new mechanics within the game. There was a new jump power up that, when used, allowed you to remove yourself from the playing field as to avoid getting hit while also shooting enemies. Also, there are a few new power ups, but there are some secrets among them, so it was not revealed what those power ups would do. As I started up the game, it was good old Tempest. I moved around a shape and tried to stop enemies from traveling up the shape while also scoring points. Once they traveled up the shape, they started to inch up towards me, and if I got touched, I died. As mentioned before, the jump power up can take these enemies off your playing field, and for each level, you are given a smart bomb, which clears out every enemy on the level. After I completed the first level, I flew to the next, and I could fly through some hexagons to score some extra points. After 8 levels, the game changed its color scheme, and the levels started to switch up a bit more. Unfortunately, I was not good enough to carry on after this, and all of my lives were expended. The game was fun, and it was a nice, quick little game that can really destress someone. It was also designed to not have any sort of difficulty spikes. However, there are over 100 levels and 3 modes, so the game is designed to get more challenging the further you get, but there is nothing in it to be overly frustrating. In addition, you can revisit any levels that you have completed, and if you die, you can jump right back to where you left off, but without your score of course. As for the game itself, it has been in development for about a year now, and the developers have been working very closely Jeff Minter, one of the original creators of the Tempest series. So, fans of the series can expect this to be another great entry into the series. Tempest 4000 is expected to be out in the Summer of 2018, and it will be coming to PC, PS4, and Xbox One with 4K resolution support and a constant 60 frames per second.